Hey families, get ready for the most awesome party of the year! Saturday 7 July, Kinderling Kids Radio and City Recital Hall are throwing the ultimate Kinderling House Party and you’re invited. 9:30am – 2pm on Saturday 7 July. Now when you buy tickets, you’re in with a chance to win a Springfree trampoline! We’re really excited that Springfree Trampoline is offering all House Party guests the chance to win a fab trampoline valued over $2000. To enter the draw, all you have to do is purchase tickets and you will be prompted to enter the competition once you have added tickets to your cart. The Springfree R79 Medium Round Trampoline, complete with tgoma interactive digital gaming system has no dangerous springs, no hard impact points, no pinch-points and a safe flexible net system, making it the world’s safest trampoline and CHOICE® Recommended! Kick off the morning with kid-pop legends Benny Time, award-winner podcasters and kids’ band The Beanies and Jay Laga’aia. Then mosh-out in the afternoon to the k-indie rock vibes of The Vegetable Plot, Bunny Racket, and Teeny Tiny Stevies. There’s more than music on the line-up though! 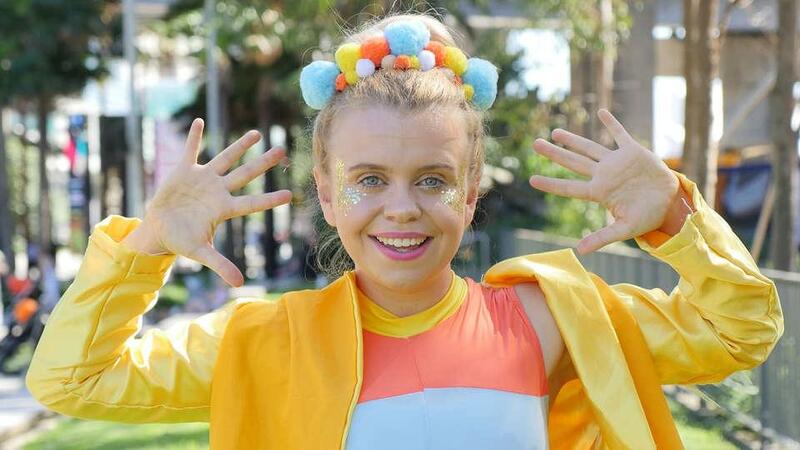 The City Recital Hall foyers will be transformed into a wonderland of colour, light and imagination, with interactive workshops, storytelling and arts and crafts projects including creative play, face-painting, sing-a-longs, and so much more. And if little (or big!) people need to escape the action for a while, recharge your batteries in our special Settle Petal chill-out zone, or grab a drink and some snacks in our Little Lunch picnic area.